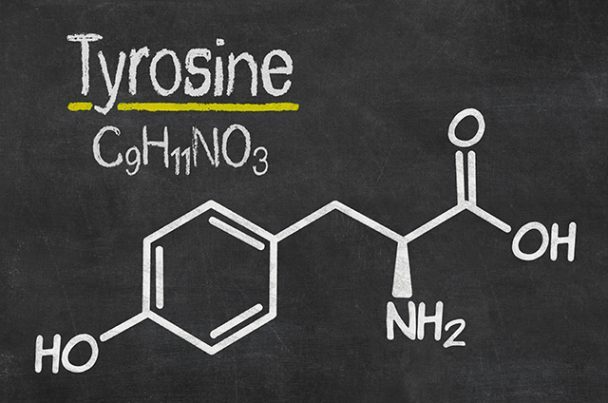 Tyrosine is another essential amino acid that is necessary for mental health. The protein-building structure is derived from the Greek word, tykos, which means “cheese”. This may be due to the structure of the amino acid, which slightly resembles the Swiss variety. It was first discovered by a German chemist, Justus von Liebig, in 1846, but was only officially added to the lexicon of nutrients found in the human body two years later when Emil Erlenmeyer and Lipp were able to synthesize tyrosine from p-aminophenylalanine after treating it with nitrous acid. Like its cousin, tryptophan, tyrosine acts as a building block for various neurotransmitters. L-tyrosine, as it is otherwise known, aids in the production of dopamine and noradrenalin, as well as in the synthesis of enkephalins which have a pain-relieving effect on the body. Psychiatrists sometimes prescribe the amino acid as a supplement in a mood disorder treatment. Because it is an essential acid, tyrosine is sourced through food or tablet supplements. High-protein foods, such as fish, chicken, avocados, almonds, bananas, and soy products are great sources of tyrosine. Tyrosine is used to treat very mild forms of depression. The reason why most psychiatrists are still wary of using tyrosine as a potent treatment for this mood disorder is that depression is caused by a variety of factors. Medical science is still determining if the illness is caused by a disruption of the production of serotonin or dopamine. More reviews are suggesting that serotonin plays a more impactful role in mood stability, which means that tryptophan is more often recommended compared to tyrosine. That said, those who are severely depressed also exhibit disturbingly low levels of dopamine, a condition that can be addressed with tyrosine. Thus, a balance between the two amino acids (tryptophan and tyrosine) needs to be struck when treating depression. Numerous studies, though, suggest that taking tyrosine is efficient in alleviating stress, reducing anxiety, and generally keeping people more alert. Tyrosine may also prove useful as an appetite suppressant, as dopamine and noradrenalin typically makes people not feel hungry as they become more focused on other things. Tyrosine also aids in the production of other important hormones such as thyroxin, which regulates metabolism and supports mental and skin health. L-tyrosine is even observed to reduce body fat content and positively influence the thyroid, pituitary, and adrenal glands. A deficiency in this amino acid can cause similar symptoms to hypothyroidism. This includes general malaise, unexplained weight gain, poor temperature regulation, low blood pressure, depression, dry skin, brittle hair and fingernails, and a sluggish metabolism. Tyrosine acts as a precursor to neurotransmitters, particularly dopamine, norepinephrine, and epinephrine. All body systems require various degrees of these substances, but they play a highly important role in mental health and cognitive function. Medical doctors typically prescribe the amino acid to regulate mood and alleviate symptoms caused by stress. L-tyrosine is especially crucial in thyroid function. Tyrosine is important for nervous system function. The amino acid aids in the production of neurotransmitters and is used to regulate mood and emotional stability. It is often prescribed for people who are experiencing high levels of stress or other mental health issues.